Beauty Bar Baby recently had an end of holiday sale, and I wanted to take advantage and get a few sets I had my eye on. I had to get The After Hours Breakfast Collection, because late night breakfast foods are delicious, and I needed a chicken and waffles inspired eyeshadow! About - Beauty Bar Baby is located in Florida, and specializes in eyeshadows, gel eyeliner, glitter, lipsticks and lip balms, and various other face products. One of their most recent collections is inspired by pin up girls. Here's the label art for the jars in this set, it's making me hungry already! Shipping - This order shipped days after I ordered, and arrived in days via USPS from Florida to California. Product Size - Beauty Bar Baby doesn't really offer the same size products most other indies do, instead most eyeshadows are only available as .5g of product in a 5g sifter jar for $3, or 1g of product in the same kind of jar for $5. The eyeshadows available in sets are the smaller .5g version. All shadows swatched over Too Faced Shadow Insurance primer. Bacon & Waffles - "A firery metallic copper shade loaded with gold fleck sparkles!" This is a bam in your face coppery bronze shade with lots of sparkle and sheen. 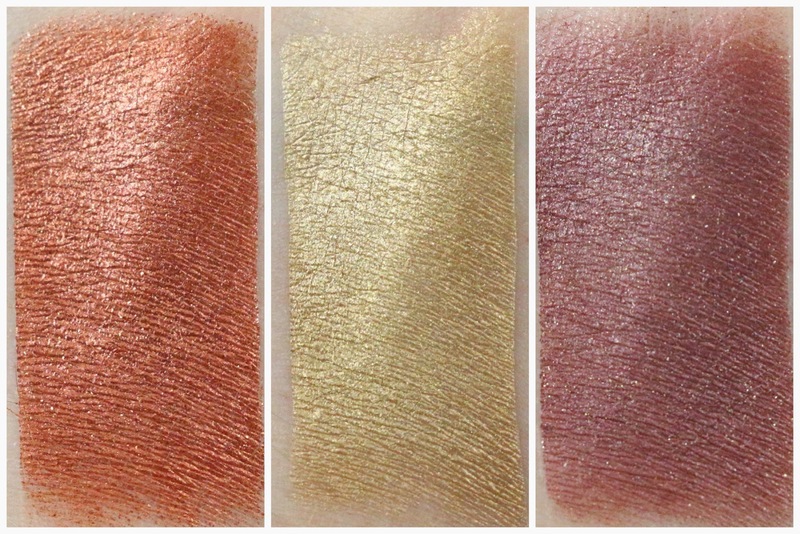 It's very metallic as well, and the texture of these eyeshadows is very nice. I can imagine quite a few ways to wear this in a look by itself, or with the other shades from this collection. This shade is so dramatic on it's own that I don't know if foiling it would do much more for the look. 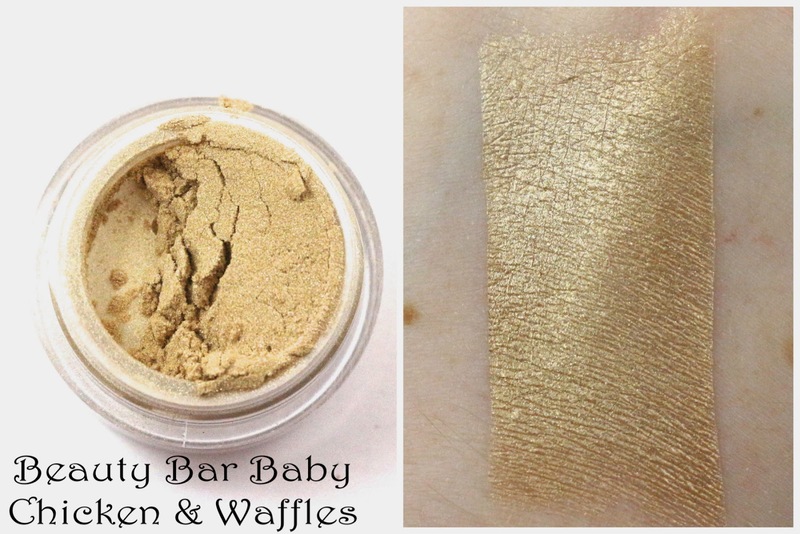 Chicken & Waffles - "A soft pale pearlescent gold shade...great used as a highlighter!" This is a very light gold shade, it could easily be packed on to look like in the swatch, or blended out really well to be used as a highlight like the description recommends. This is a shade that could easily be used on the lid or as the brow highlight, it would work various ways. 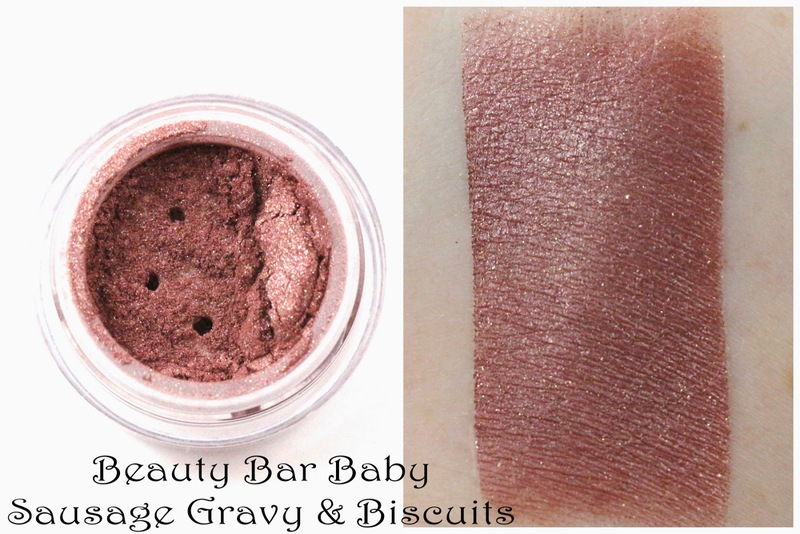 Sausage Gravy & Biscuits - "A brownish/reddish/burgundy shade with gold interference undertones." This is my favorite shade of this collection, which is no surprise since it's a reddish purple. I love the gold sparkles in it as well, and the slight sheen it has. This is another shadow that would work in the crease, or blended out as an all over lid shade. I would love to see this foiled, I bet it looks just stunning. I'll have to do that when I wear it sometime. Overall, I think this is a great little set for anyone who has an affinity for late night breakfast foods and shimmery eyeshadows. It's inexpensive, and the eyeshadows themselves are good quality. I like the formula, and they are neutral enough to be worn for work, or worn foiled for a more dramatic look. I am always happy when a smaller collection can be worn all together easily, or paired in various different ways. And these are some of the better quality metallic shades I have in my collection. My favorite shade in the collection has to be Sausage Gravy & Biscuits which is pretty unique as a color. Availability - As far as I know, this collection is permanent and you can sometimes get the shades individually, or in the set. Overall Satisfaction - My favorite shade was Sausage Gravy & Biscuits. 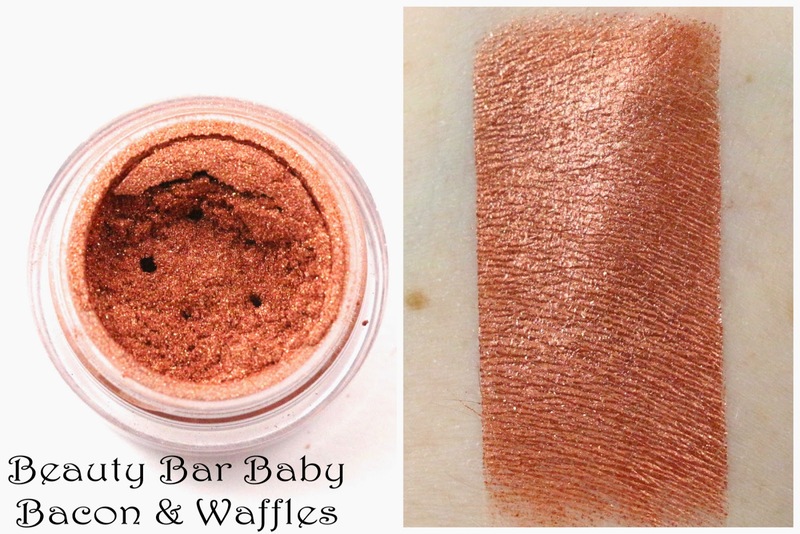 I liked the eyeshadow formula enough to definitely be purchasing from Beauty Bar Baby again. What did you think of Beauty Bar Baby's The After Hours Breakfast Collection? Let me know in the comments!